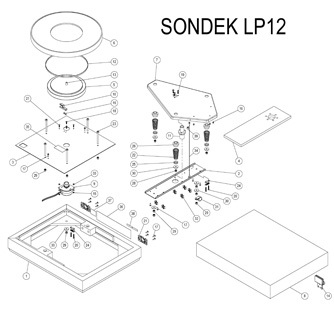 In continuous production since 1972, the LP12 remains one of the finest turntables available. Linn has made numerious improvements to the table over the years, and we can upgrade your table to today’s current production spec regardless of its age. There are also several performance upgrades available, so you get even better sound from your records when you’re ready. For best performance, an LP12 should also be regularly fitted with a new belt, oil charge, and suspension springs and grommets, and be ‘tuned up’. A tune up includes having all fittings and connections examined and tightened, tonearm and cartridge checked for correct alignment and operation, and the suspension calibrated for proper isolation and performance. AudioConcepts is one of the few remaining turntable specialists that can not only set up a brand new LP12 fully optimized to deliver its total performance potential, but also keep your existing LP12 performing at its best. Contact us for details about restoration or suitable upgrades for your Linn turntable or to arrange a general checkout or tuneup.